Meaning Structures is a photographic Installation presented at the ECCO Museum of Contemporary art in Cádiz, Spain. 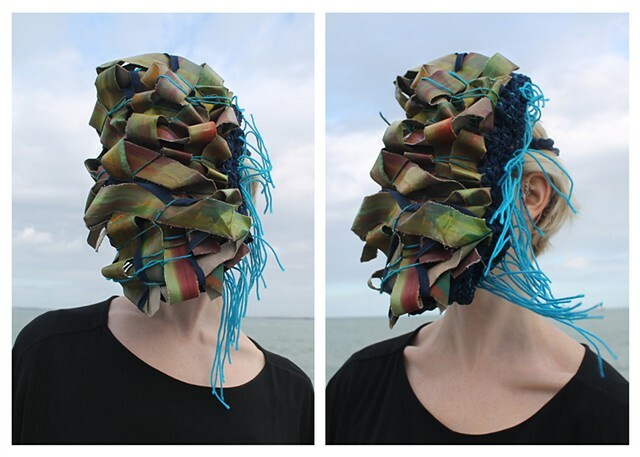 Comprised of wearable sculptures constructed and photographed by the artist, the series explores the effect of emotional states and disorientation of place on the decision-making process and the formation of personal identity. These woven sculptures are placed directly over the model’s face, obscuring likeness, and eliminating the ability to accurately perceive physical and emotional surroundings.